Pantheon sites are now faster and more secure than ever, thanks to our new, integrated Global CDN. The Content Delivery Network, along with automated HTTPS, is included for all sites, regardless of service level and at no extra cost. We did it by integrating Fastly’s edge cloud platform seamlessly into Pantheon and configured it for advanced caching, optimized for Drupal and WordPress. Next, we added Let’s Encrypt to the mix. The result frees you up from CDN configuration or hassling with manually obtaining or renewing certificates for HTTPS. As an added bonus, we’ve improved the go live experience, complete with a new Launch Essentials guide, so it’s easier than ever to take a site live on the platform. If you’ve got an existing Pantheon site and don’t see action required to update your DNS, just open a support chat and you’ll be on your way to a faster and more secure site. Gone down the rabbit hole to optimize your site’s page load time? Seeker of the holy grail of sub-second page loads? Then you know that no matter what you do at the site level, without a CDN, the speed of light is working against you. Distance from request to origin actually matters, and milliseconds of latency add up with all the round-trips needed to render a full web page. With Pantheon’s legacy infrastructure (out with the old, in with the new!) requests for a site would have to go all the way to our US Datacenter, no matter where in the world the visitor requested the page. Now requests are automatically routed to the closest Point of Presence (POP), with over 40 POPs around the world. Caching content closer to the user—whether in San Jose or Stockholm—means your site can load in less than a second. Try it out and tweet @getpantheon with your New Relic graphs or webpagetest.org timelines and the hashtag #NoBSBenchmarks! Time Is Money, Speed up Your Site! It’s obvious and almost not worth repeating, but visitors expect sites to load quickly, and there’s a considerable drop off in engagement and revenue the slower a page loads. Google now factors page load time and HTTPS in as ranking signals, part of why HTTPS and a CDN have become mainstream requirements and essential for SEO. 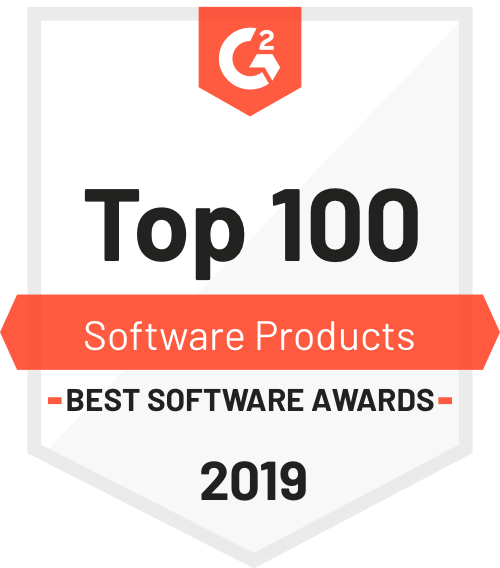 So we’re happy to offer this free for all sites on the platform, whether a personal blog or a top 10 Alexa site. All sites get the same, consistent infrastructure. You just add the domain and point the DNS, and we take care of automatically provisioning HTTPS and routing traffic through the new CDN. We’ve partnered with Let’s Encrypt to automate provisioning certificates. If you’re migrating an existing site to Pantheon, we give you a way to verify domain ownership so you can pre-provision HTTPS before switching DNS to Pantheon. Or just point DNS to Pantheon’s Global CDN and we’ll always renew the certificates automatically. Never worry about getting another email from a client about an expired certificate. Go ahead and switch DNS to the new Pantheon Global CDN and delete all those pesky calendar reminders to renew certificates. SSL Labs is the industry standard server scanning tool, and you’ll be pleased when you get an A+ rating like we did. Upgrade to the Global CDN for a more secure encrypted connection, configured to require the leading TLS 1.2 protocol without the weak 3DES cipher. 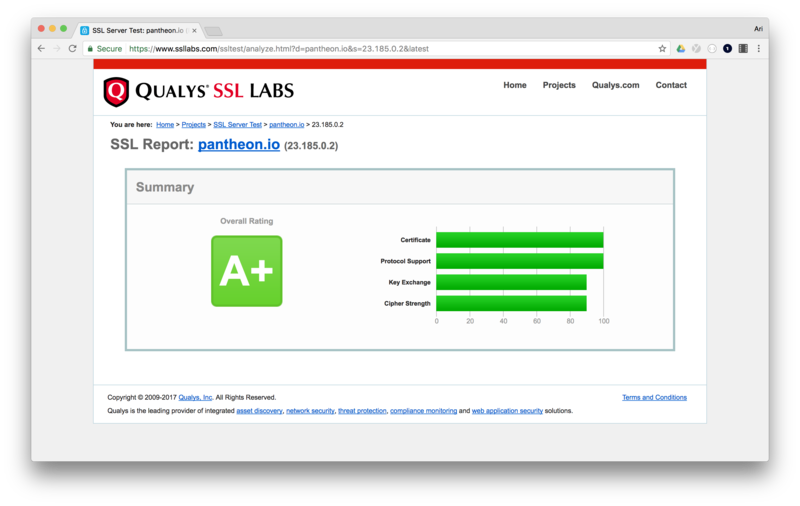 Send the HSTS header as the final step to get an A+ SSL Labs rating. HTTP Strict Transport Security (HSTS) increases your site’s security by helping to prevent protocol downgrade attacks and cookie hijacking. For more details and a comparison with the legacy configuration, see our documentation. If you haven’t created a site on Pantheon, give it a try for free. You can also join our upcoming webinar to learn more about Global CDN and automated HTTPS. And as always, if you have specific questions about your existing Pantheon sites, contact support via the dashboard.